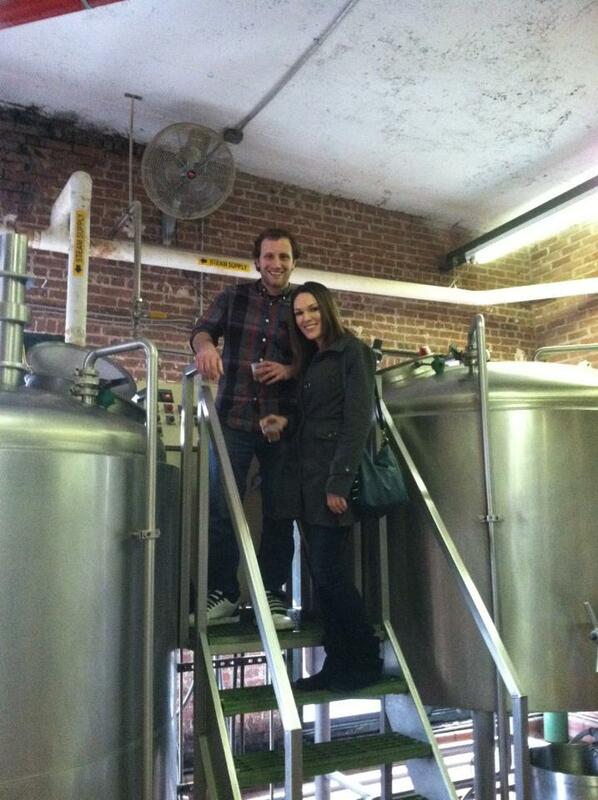 River Horse Brewery in Lambertville, NJ. Then this brewery chose us…she forced us to ask ourselves, “Is this desk job really how I pictured my life?” We answered that questions by taking over River Horse in 2007 and have not looked back. We may not end up as the greatest success story on earth, but at least we had the balls to try. Sometimes, for better or worse, your dreams get the best of you. Just remember, it’s a big world out there and cubicles don’t have doors, so you can walk out anytime. It was a pretty bold move on their part, and one that seems to be paying off. River Horse will soon be moving into a bigger building, as their beer has gotten very popular on the East Coast, and with good reason. As of now, the brewery is located in a brick building on the river, with a small tasting room/gift shop area. 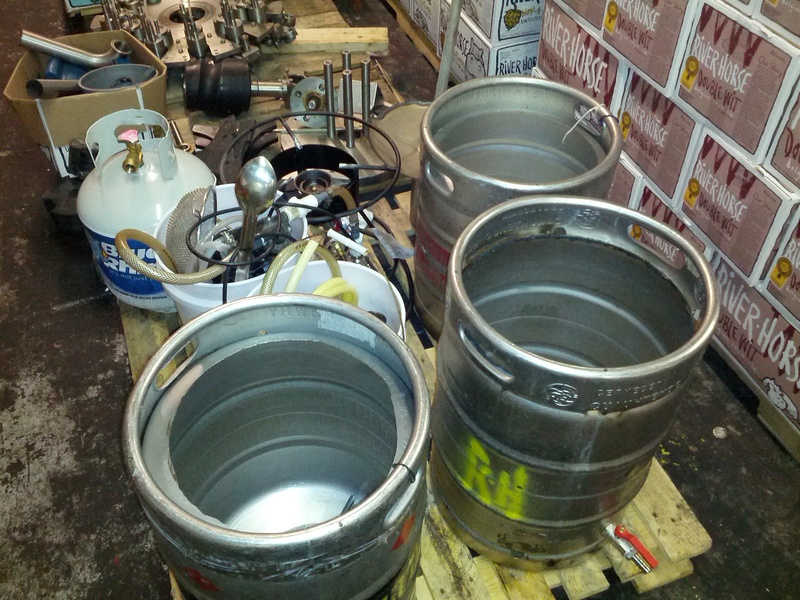 They offer free tours of the brewery Saturday and Sunday from 12-4 on the hour. The brewery stays open until 5, and a flight tasting of everything they currently have on tap (four beers) is just one dollar. DAS and ALE up on the boil platform. It’s always cool to see a brewery on a tour, whether or not you’ve been on one before. 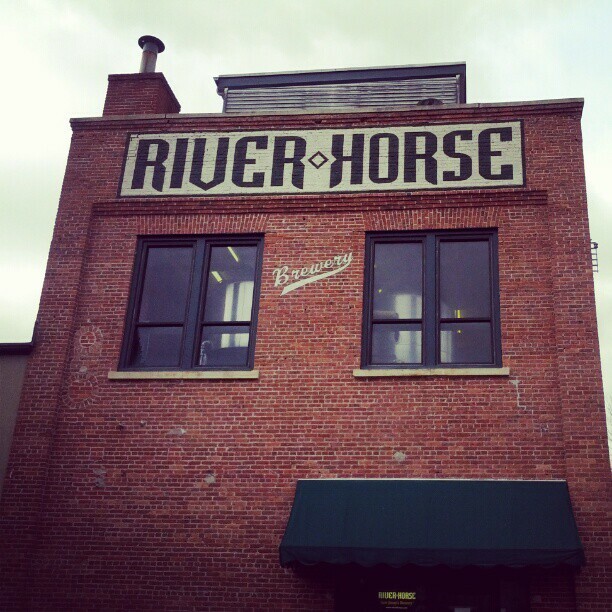 The River Horse tour is pretty standard, but it’s a great way to learn a little bit more about the brewery. They start you off on the shipping dock talking about the history of River Horse, then take you upstairs to their mash and boil tanks before bringing you back downstairs to the fermenters and bottling line. Massive blow off from the fermentation process. As a homebrewer, it’s always cool to see something like the massive blowoff tubes they need to use for mass fermentation, as well as the mess it creates. River Horse has 10 tanks at the moment, but I believe they’re going to be adding more once they move to their new spot. 3 vessel test batch system at River Horse. Another cool thing to see was their test batch set up, which turned out to be no different than a backyard brewer’s set up. I expected something more along the lines of an automated system, but they have a three keggle, propane burner system they use for small batches. 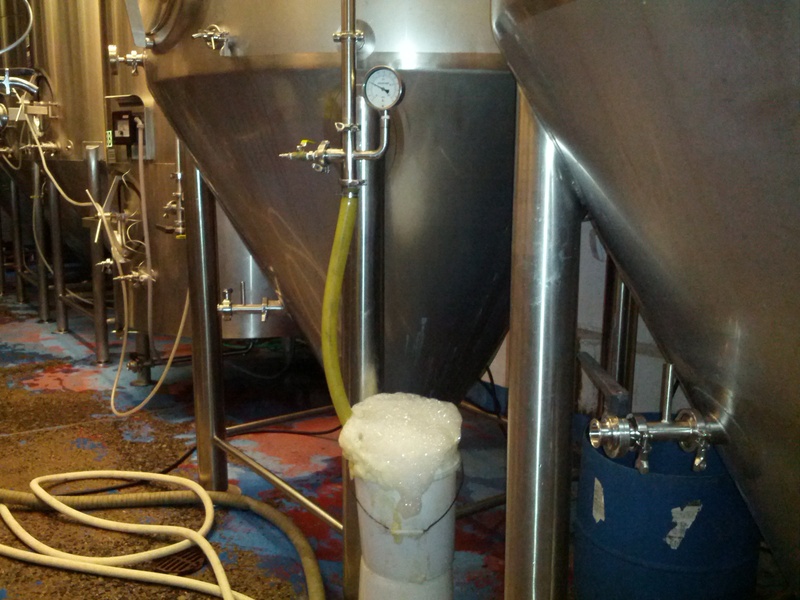 If a brew does well there, on to the big tanks it goes. A very solid pale ale, but nothing spectacular about it. Basically a milder version of the Hop-A-Lot-Amus. I wish I could say good things about this one, but it tasted like some phenols ruined this particular batch. It was riddled with off flavors of smoke and bandaids, an interesting combination to say the least. I’m sure it’s a good beer, but this particular batch didn’t go so well for them. A heavy breath of fresh air after drinking their Scotch ale, a nice smooth milk stout with that slight burnt taste that’s awesome in a stout. This beer is why you go to River Horse. Just an awesome beer, with a heavy enough malt bill to balance out the banana and clove of the Belgian style. Hid the 10% ABV well, no burn or alcohol smell on this beer. Awesome, and very well done. 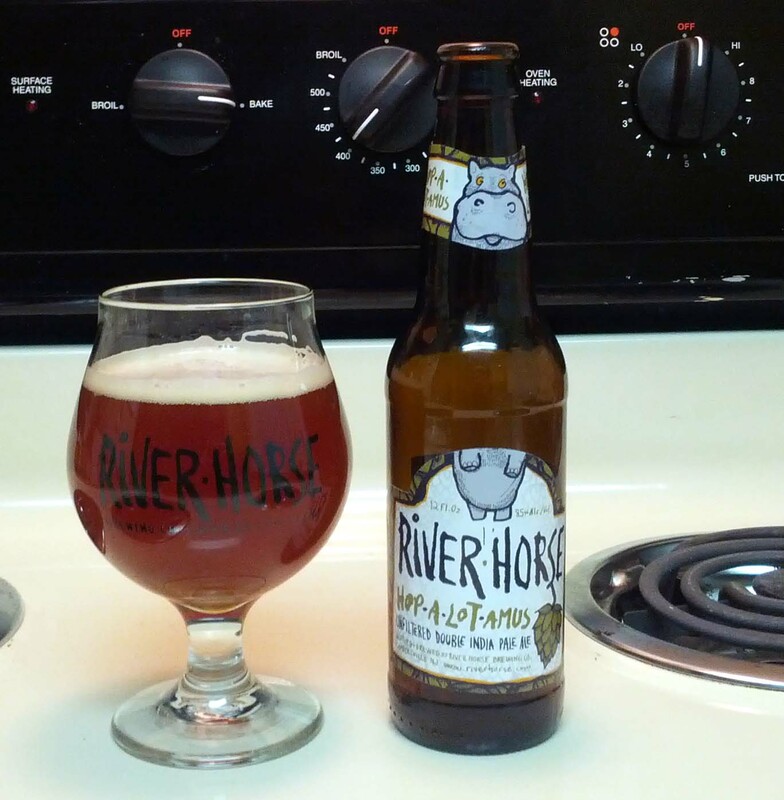 If you happen to be in the area and feel like drinking a good beer, definitely stop by the River Horse brewery and see what they have to offer. While there, you can also pick up a 6- or 4-pack of their offerings, and they’ll do growler fills as well. Good beer, good people, and good times. 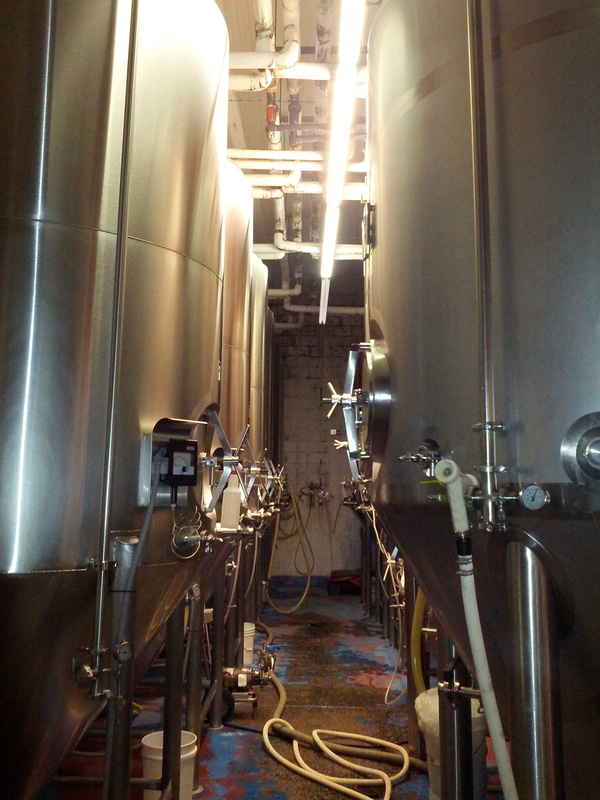 This entry was posted on March 20, 2013 by dasalehaus in Brew Review and tagged brewery tour, craft beer, new jersey beer, river horse.